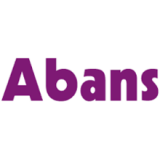 Abans Auto (Pvt) Limited has enhanced and enabled mobility for citizen of Sri Lanka by importing durable and quality vehicles. The company has been successful in securing the agency for Hero brand of transport in year 2012 and is a key player in the two-wheeler market in Sri Lanka. Abans Auto also boasts capacity to assemble Hero Motor Bikes in Sri Lanka and has well equipped service stations to provide required after sales facilities to its customers. In addition, Abans Auto is also the Sri Lankan Agent for the brands such as Dongfeng (from China), vehicles amongst others. Buoyed by its growth, the company is exploring new growth avenues. The company possess and continue to expand its island wide reach with a network of over 200 showrooms and appointed dealers in strategic locations around Sri Lanka.